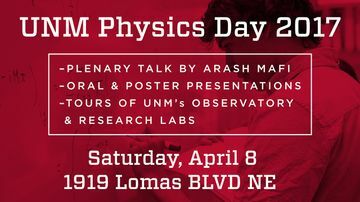 The University of New Mexico Department of Physics & Astronomy is hosting UNM Physics Day 2017 on Saturday, April 8 at the department facilities at 1919 Lomas Blvd. NE. 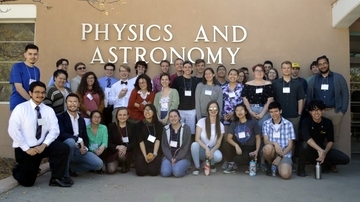 As part of its ongoing efforts to inspire the potential scientists of tomorrow, UNM’s Department of Physics & Astronomy is once again hosting its Lecture Demonstration Show on Wednesday, Nov. 2 at 7 p.m. inside the Regener Hall Auditorium on main campus. 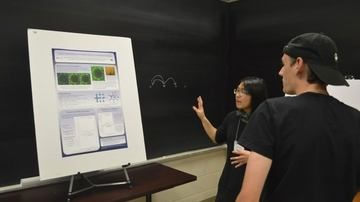 Whether it’s the new 137,000-square-foot Physics & Astronomy and Interdisciplinary Science facility in Albuquerque or the Career Technical Center in Taos, University of New Mexico campuses across the state are asking New Mexicans to vote on higher education to make a big impact on thousands of students.